I seldom rave about a recipe, but this is one recipe to rave about! A “hotdish” is the colloquial term for a casserole in some parts of the Midwest. It’s ideal comfort food ~ warm and wholesome, and suited to feed a crowd. For those of you familiar with the casseroles of years ago, the ones with an abundance of canned cream of mushroom or celery soup, this version will be a revelation. The recipe is from Martha Stewart’s Martha’s American Food cookbook, one of my favorite cookbooks, that’s filled with treasured dishes, from coast to coast. In cooking the hotdish, first off, I browned the chicken, transferred it to a plate, then, with the drippings left in the skillet, sautéed the cremini mushrooms, with green onions (Martha used leeks) and diced celery, until golden. 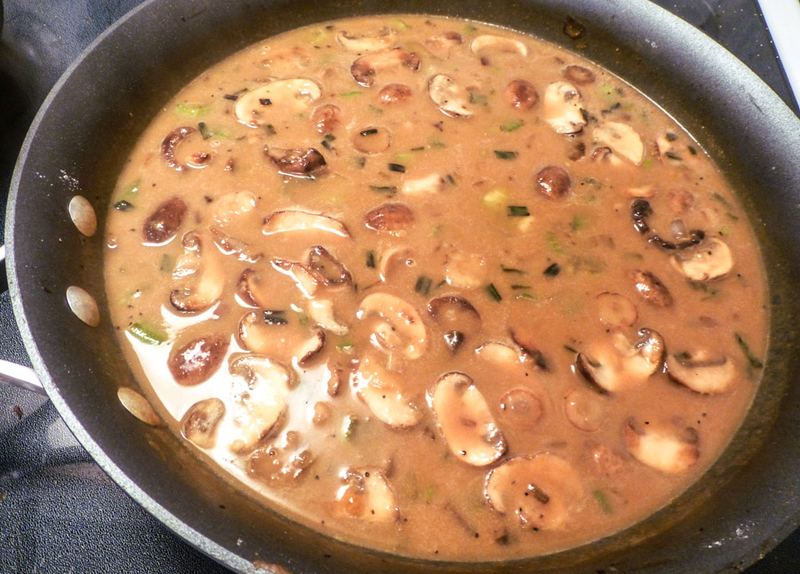 Finally, the sauce ingredients of flour, sherry, milk and chicken stock, were added to the mushroom mixture and simmered until thickened. 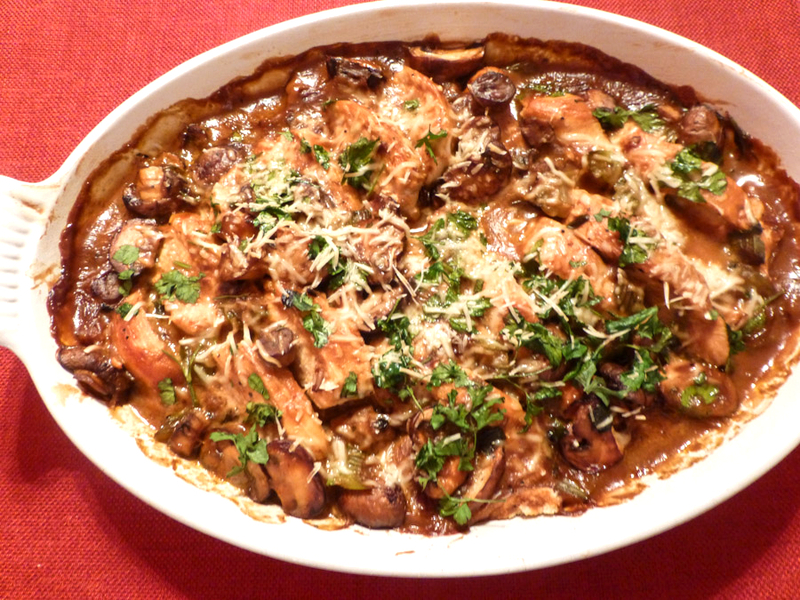 Dark brown, full-flavored cremini mushrooms, ummm, mmm! 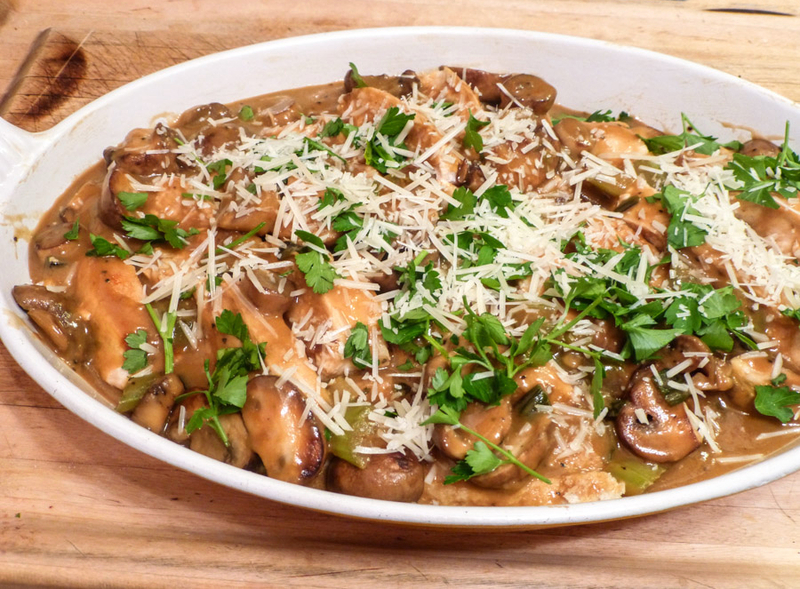 But, here’s what is so special and delicious about this hotdish: the chicken pieces and mushroom sauce are layered in the baking dish, on top of overlapping triangles of dense bread, with the bread absorbing some of the delectable sauce during baking. The finished dish results in succulent layers of flavor! As I said in the beginning, this is truly a delicious hotdish, a dish to rave about! Pat dry chicken with paper towels and season both sides with salt and pepper. 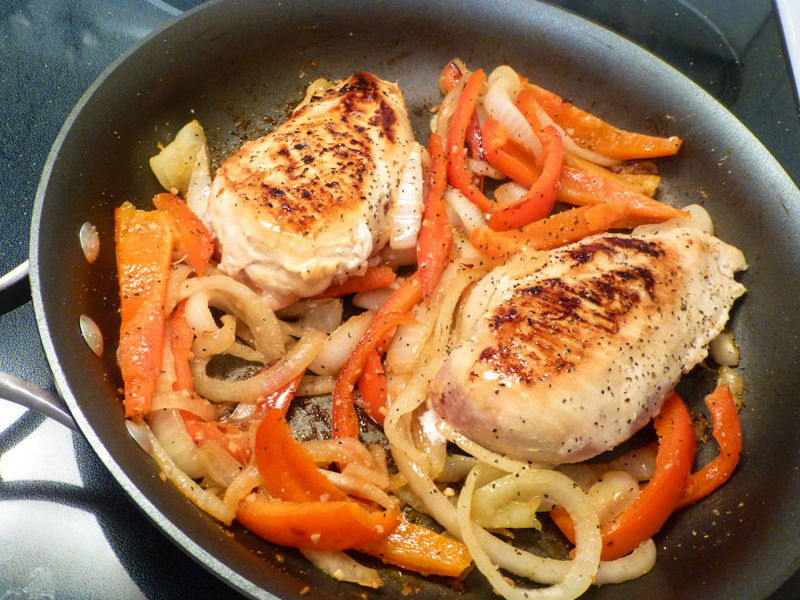 In a nonstick sauté pan, heat 2 tablespoons olive oil over medium-high heat and add chicken. Sauté until golden brown on bottom, 3-4 minutes. Turn over chicken, reduce heat to medium, and cook 10 minutes more. Heat remaining oil in pan and add onions, celery and mushrooms; cook, stirring occasionally, until golden brown and tender, about 8-10 minutes. Stir in flour and cook, stirring often, for 2 minutes. Add sherry, stock and milk; cook, scraping up browned bits from bottom until sauce is thickened, about 5 minutes. Arrange bread on bottom of a shallow 2-quart baking dish, overlapping slices slightly. Spoon half of the vegetables and sauce over bread. Slice chicken crosswise, ½” thick, and arrange on bread. Top with any accumulated juices from the chicken. Spread remaining vegetables and sauce over chicken. Bake until golden brown and bubbling, 25 to 30 minutes. *I used Pepperidge Farm original, you might want dense multigrain. 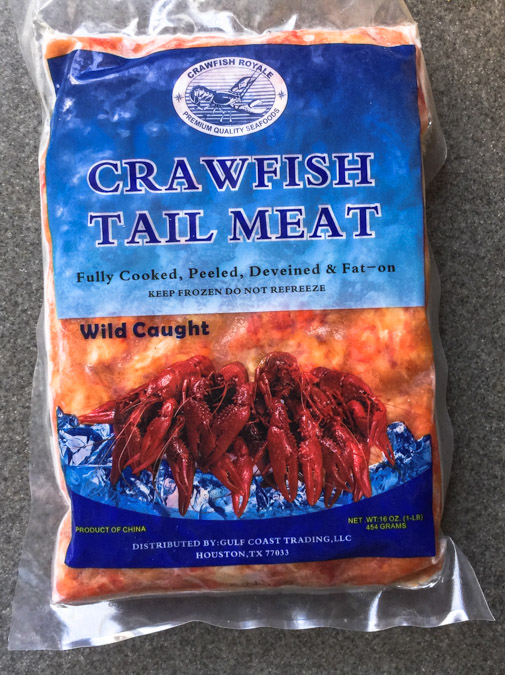 If you’ve never gone to Louisiana, you need to go down to where the Cajuns live to experience for yourself what fine eating is ~ where delicious food is an “everymeal” occurrence. 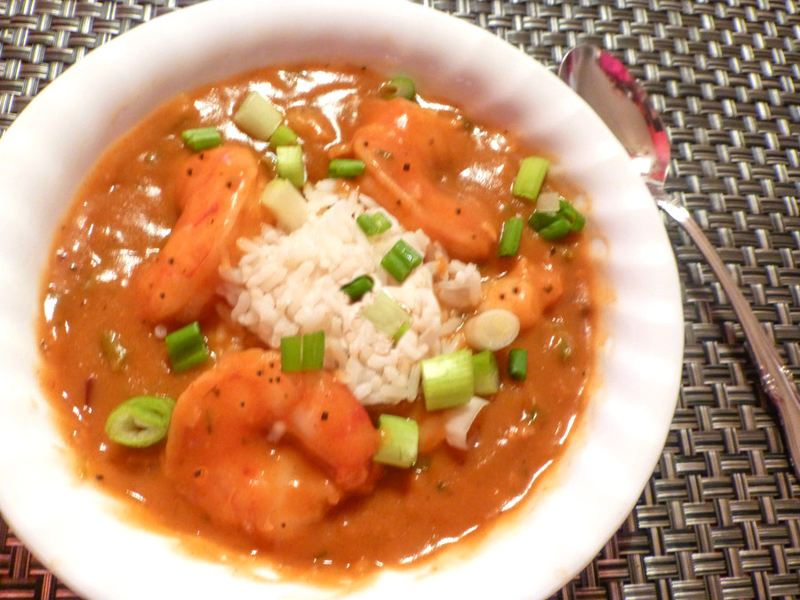 In French, étouffée means smothered ~ and that perfectly describes this dish ~ shrimp that is smothered in a thick gravy and served ladled over rice. 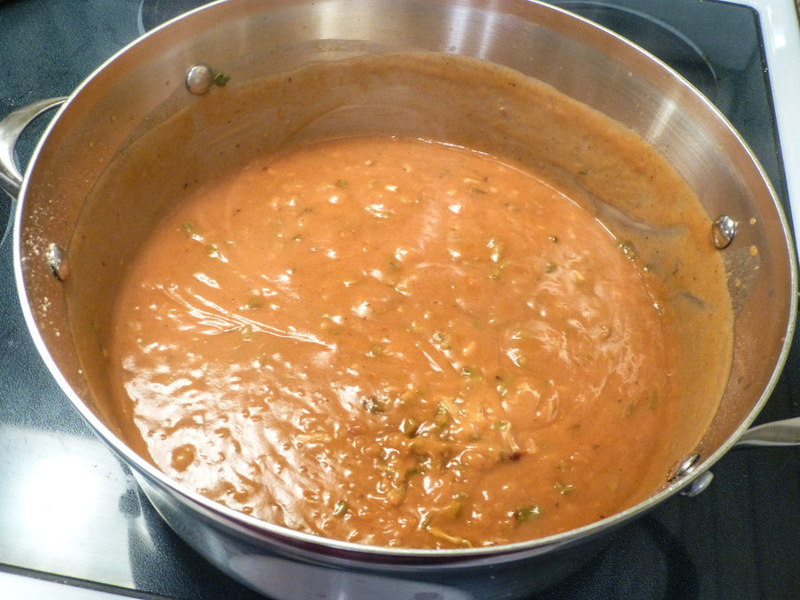 Compared to gumbo, which is made with a dark roux, the color of chocolate; étouffée is made with a lighter roux, orange/brown in color. Like many dishes down Louisiana way, this one includes the Cajun holy trinity: bell peppers, onions and celery. This spicy dish is stew-like and seasoned to perfection with paprika and other good seasonings. Shrimp Étouffée is a hit here any time! 4 sliced green onions, for garnish. In a 4-quart Dutch oven, melt butter over medium heat. With wooden spoon, gradually stir in flour until blended, stirring constantly, until mixture is brown, the color of peanut butter, not a dark roux, about 30 minutes. The roux will be thinner by now and bubbling slower, the aroma will be sharper and the flavor smoky. Add bell pepper, onions, celery and garlic. Cook, stirring frequently, until onions are tender, about 5 minutes. Stir in stock and tomato paste, heat to boiling. When you’re short on time, this is an easy one-pan entrée! The chicken gets its delicious tangy flavor from balsamic vinegar. 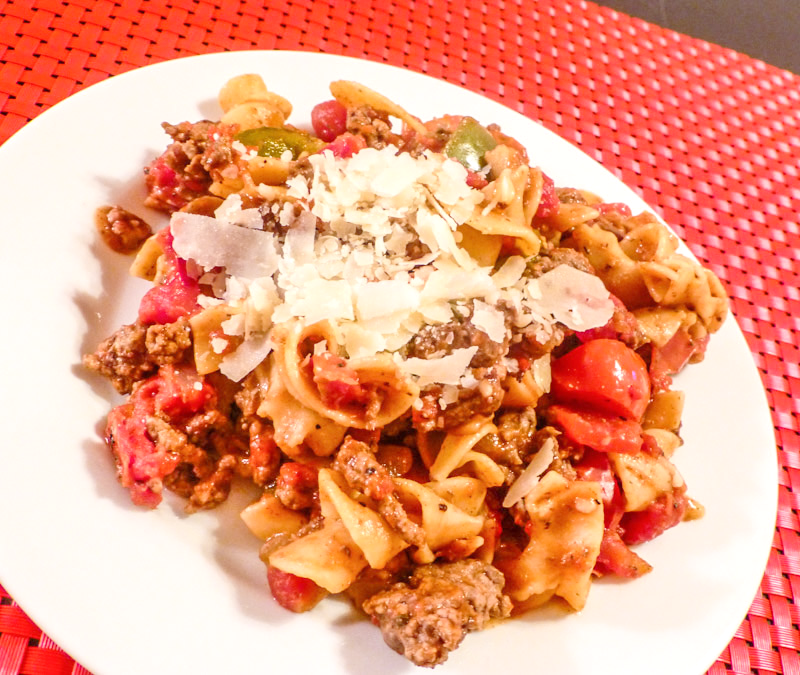 Golden caramelized onions, red bell pepper, and fire-roasted tomatoes add some sweetness to the dish. Chicken breast is a low-fat protein. Bell peppers are rich in fiber and Vitamin C.
Onions and garlic are antioxidants. Vinegar is a blood sugar regulator. The bad thing is ~ I was so busy eating, I forgot about taking another photo after it was plated! Coat a large sauté pan with oil and preheat over medium-high heat. Add garlic and red pepper flakes and sauté for 1 minute, stirring constantly. Add chicken breasts to the pan and cook for 4 minutes on each side. Add vinegar and tomatoes and bring liquids to a boil. 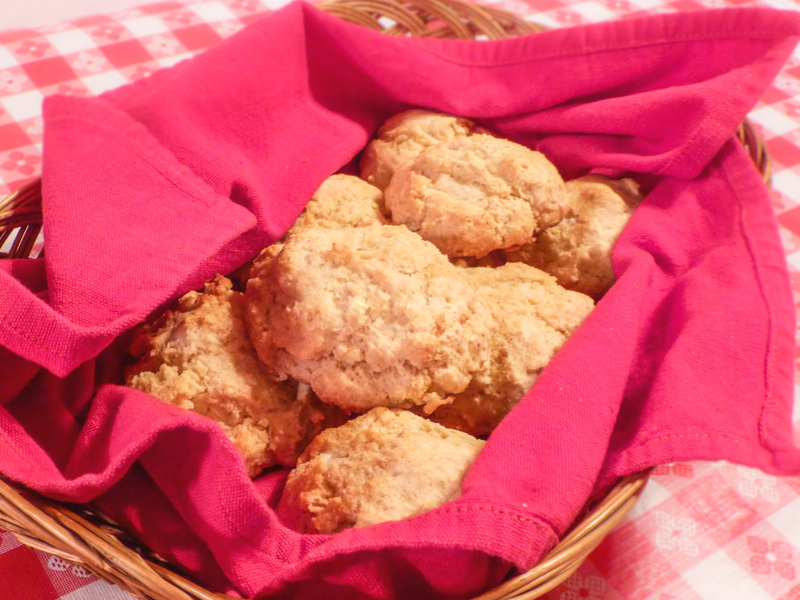 You can whip up these little biscuits in no time! I’m pretty much hooked on anything cornmeal, and these tasty biscuits fill that craving perfectly. You can use plain cornmeal, if you prefer ~ I’m a fan of stone-ground cornmeal for its crunchier texture. With this easy recipe, from Food Network Magazine at hand, it's a piece of cake to have freshly-made biscuits on your dinner table. They’re plush, lip-smacking goodness with a little crunch, and a little heat! Whisk flour, cornmeal, baking powder, baking soda, salt and cayenne in a large bowl. Work in butter with your fingers until crumbly. 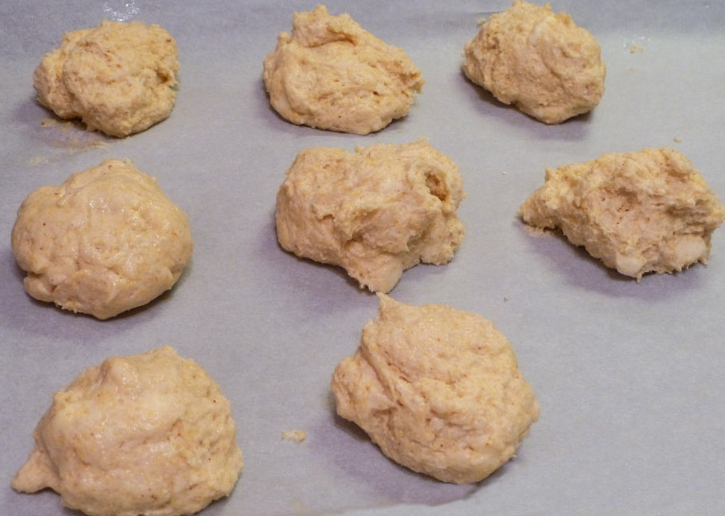 Roll dough into 8 balls, place on a parchment-lined baking sheet. *Food Network recipe calls for half-and-half. I use 2% milk. 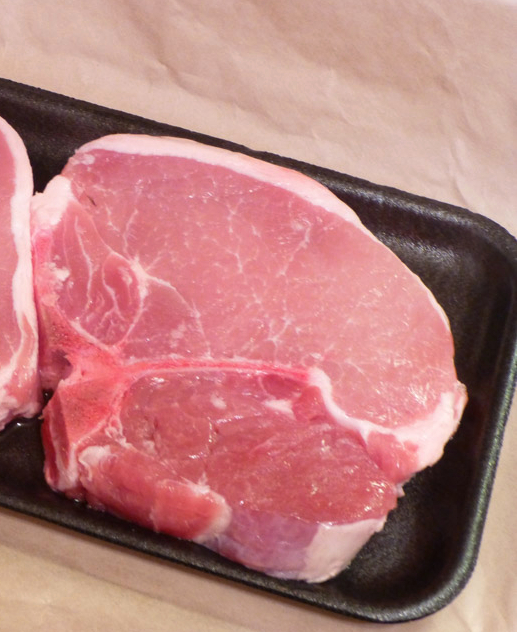 The pork chop has a T-shaped bone running through it, similar to the T-bones of beefsteaks. 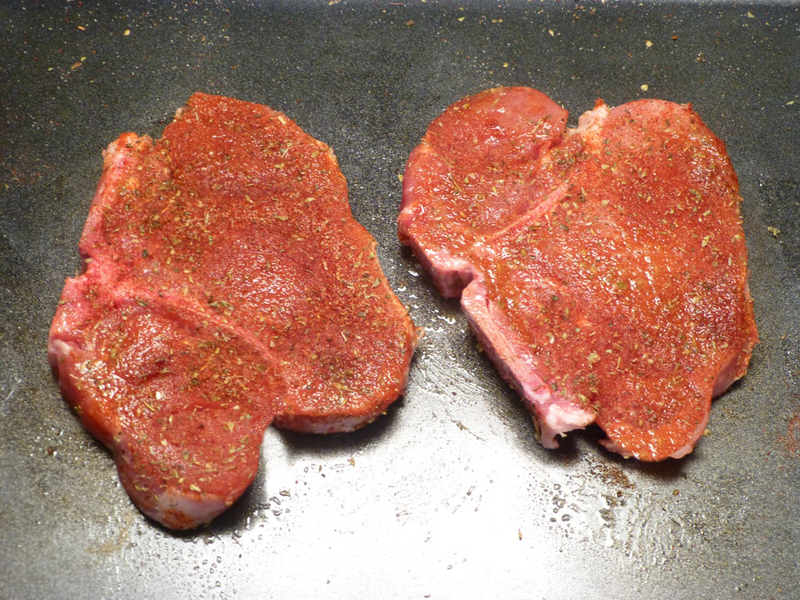 The chop is loin meat, separated by a t-bone, from a bit of tenderloin meat. 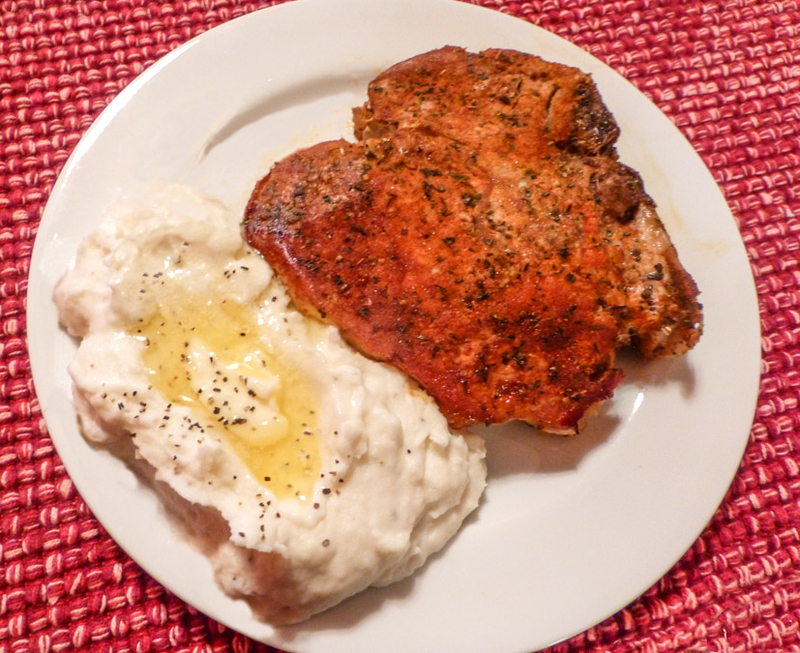 Bill and I are both pork chop fans and this recipe, from Zweber Farms, is one of the best recipes for delicious, moist oven-baked pork chops that I’ve made. The chops are coated with a spicy rub and baked in a moderate oven, with the bone itself retaining moisture as it cooks, keeping the meat from drying out. The chops were tender and juicy; great tasting bone-in pork chops! Is “Tenderloin Pork Chop” a new label to you? Combine seasonings in a small bowl and sprinkle chops on both sides. Arrange them on a baking sheet. Bake for 20-30 minutes flipping them half way. When nearing the end of the baking time, use a meat thermometer to check for doneness. A done chop is 145-150 degrees. You can probably have dinner on the table in 25 minutes, or maybe even before you can get the table set. Cook noodles, al dente, according to package directions. Meanwhile, in a large skillet, over medium heat, brown beef, breaking it into bite-size chunks. Add garlic and onions, cook until tender. Stir in bell peppers and mushrooms, cook for 2 minutes. Add tomatoes and seasonings, bring to a boil, and simmer for 3-4 minutes. Reduce heat, stir in noodles and heat thoroughly.